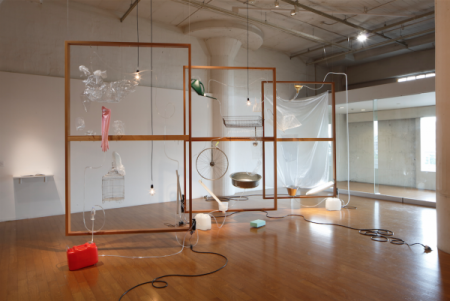 White Rainbow is pleased to announce the first UK solo show by Yuko Mohri (b.1980, Tokyo). The focus of Mohri’s exhibition will be an installation of her project Moré Moré (Leaky), a long-term research project into the Tokyo metro. Mohri exhibited her first iteration of the project at the Nissan Art Award 2015, which she consequently won. Moré Moré (Leaky) will run from 9th February until 11th of March 2017 with a preview on Wednesday 8th February from 6-8pm.